While walking to and from school, leaf collecting has become a daily hobby for my family. 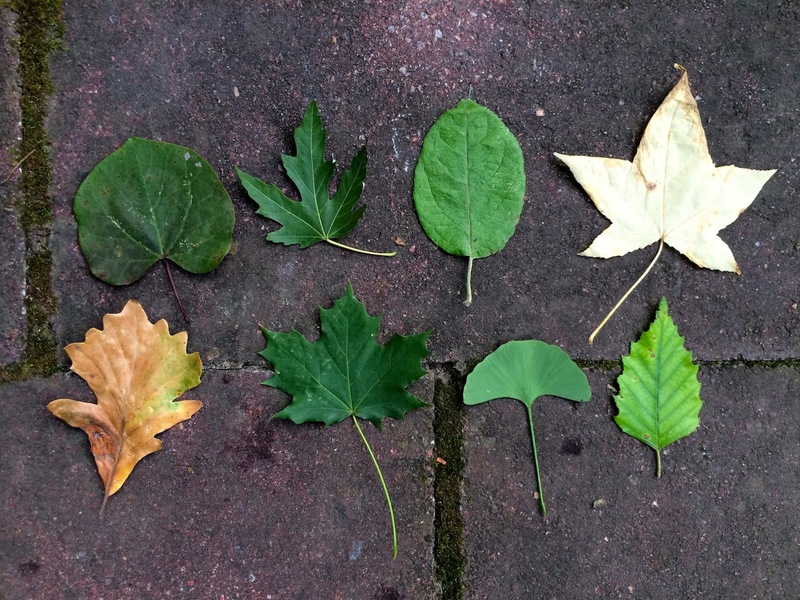 The bottom of the stroller is filled after only a few blocks with a variety of leaves found by my 5-year-old while my toddler, who reamains fastened in the stroller, eagerly points to leaves for her sister to collect. 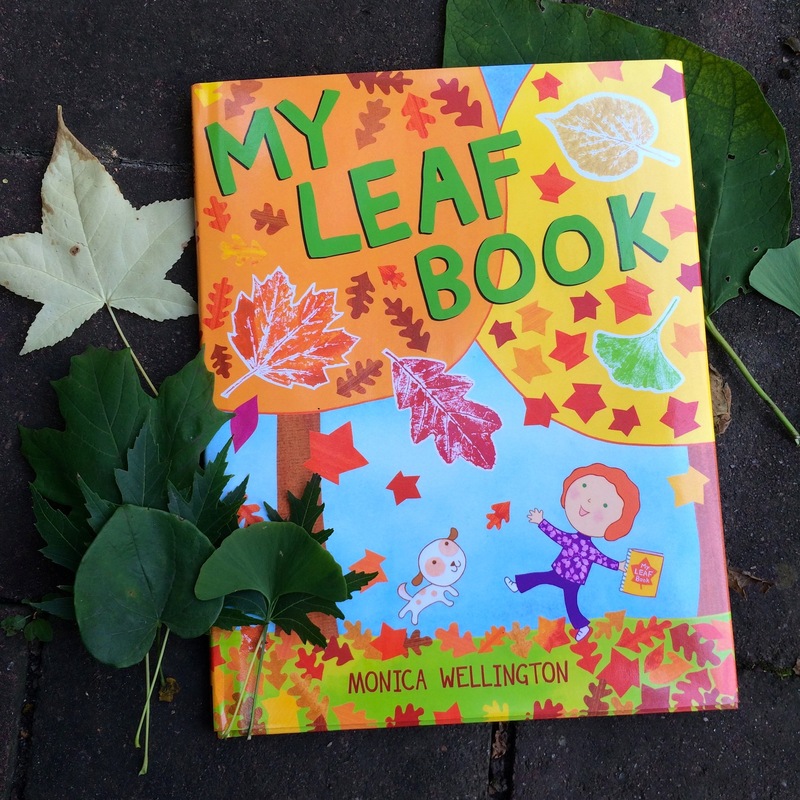 With the recent release of Monica Wellington’s latest picture book, My Leaf Book (Public Library/Local Bookstore/Amazon), the timing could not have been more perfect to further our curiosity of trees and their leaves. 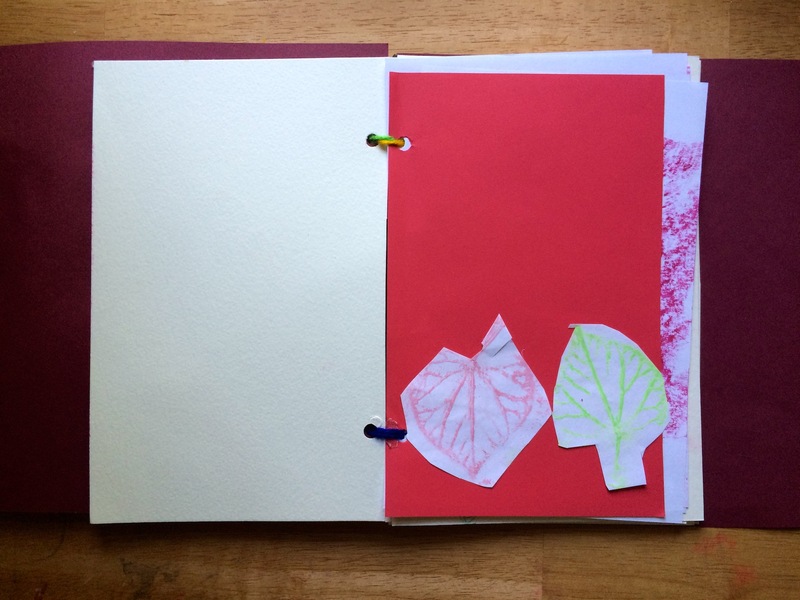 My Leaf Book is the story of a child on her visits to an arboretum and the leaves she preserves in a special book of her own making. 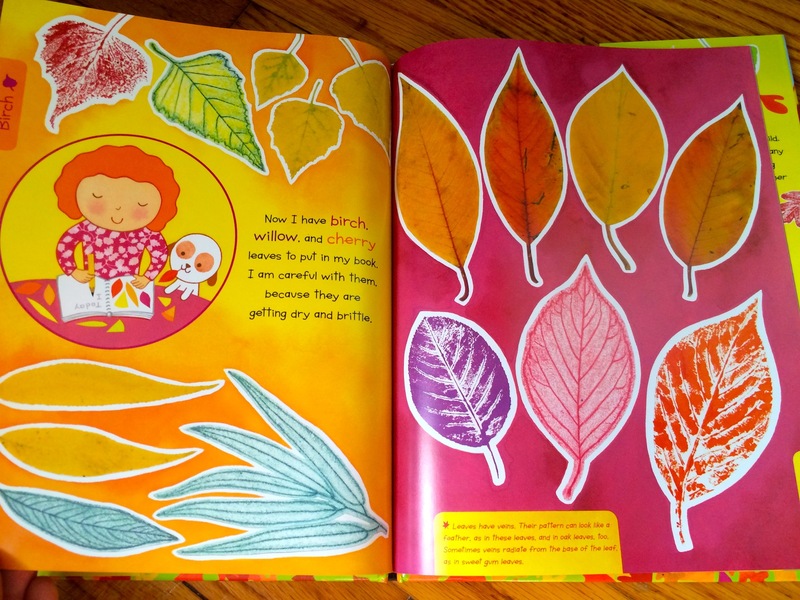 Using clues such as shape, size, and color, she collects leaves throughout the autumn season, identifies the type of tree the leaf came from, and adds those findings in her leaf book along with sketches, rubbings, prints, or glueing the actual leaves directly into her book. 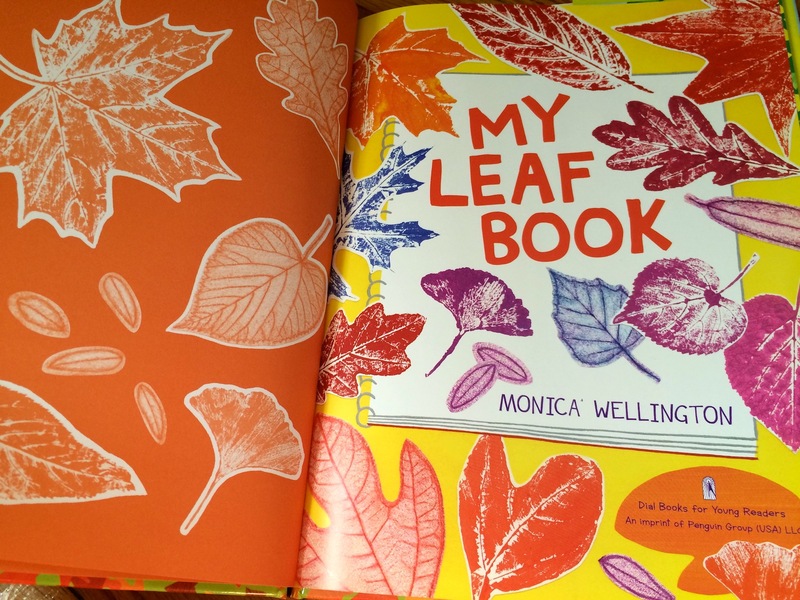 Monica Wellington’s signature illustration style of bright colors that my girls have grown to love so much over the years is paired with actual pressed leaves, sketches, rubbings, and prints of the leaves and trees depicted in the book. 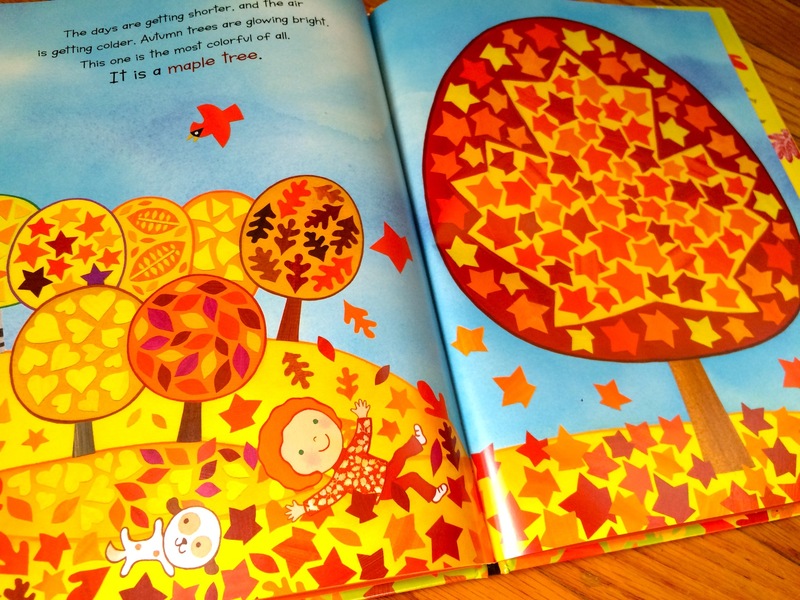 As the fall season progresses, so do the colors of the trees as green trees fade to orange, yellow, red, and brown. If you step back from looking at a tree, the shape of the tree actually mimics the shape of the leaves it produces, and the illustrations capture this concept wonderfully. 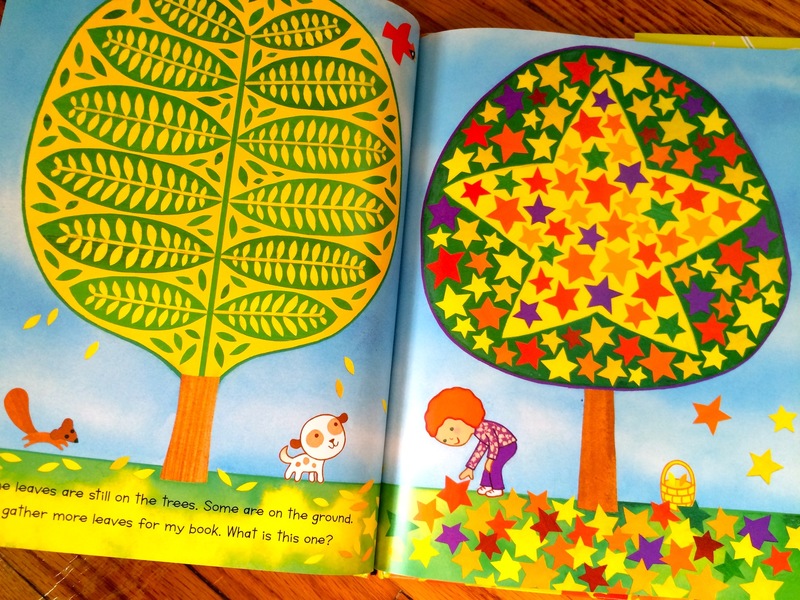 The child character in the story also notes that trees can be identified not only by their leaves, but by their shape, bark, and leaf color too. An important remark, as so much of what we see is only a glimmer of the collective whole. 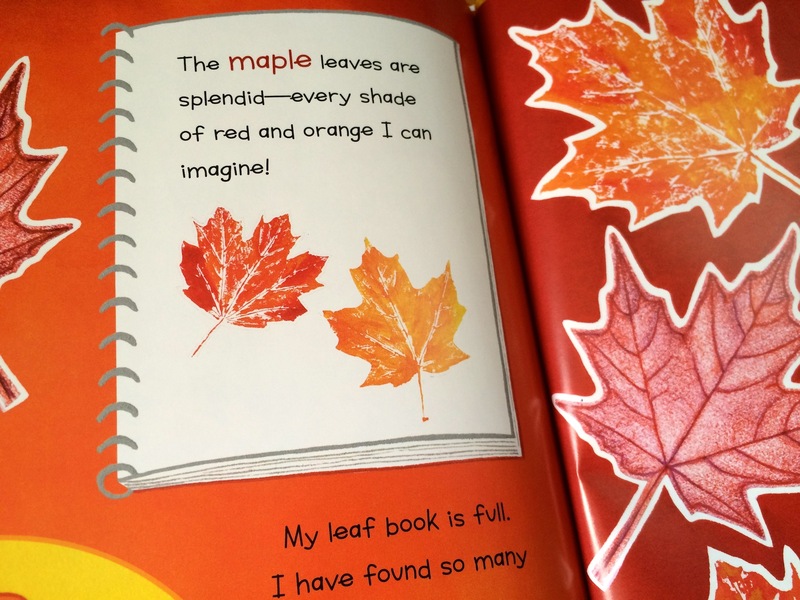 My Leaf Book is a delightful way to encourage observation, especially during this time of noticeable seasonal changes. 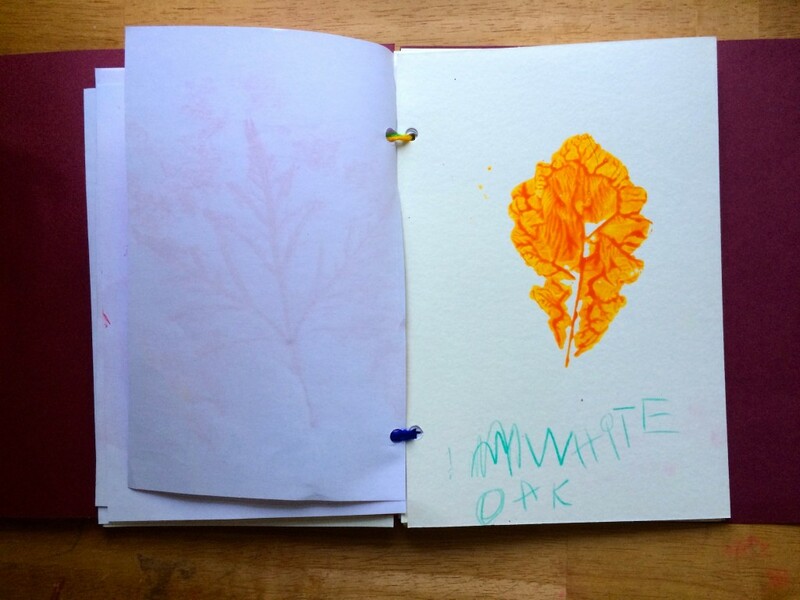 Interesting facts about the various trees featured in My Leaf Book are located on the bottom pages, and at the back of the book is a step-by-step guide for making Leaf Rubbings and Leaf Prints. 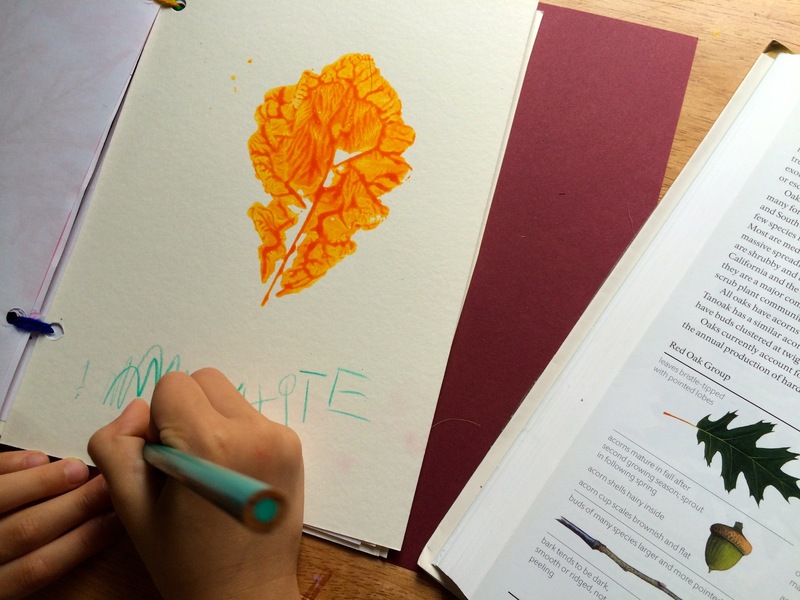 Obviously, we had to try both art activities AND make our own leaf book. 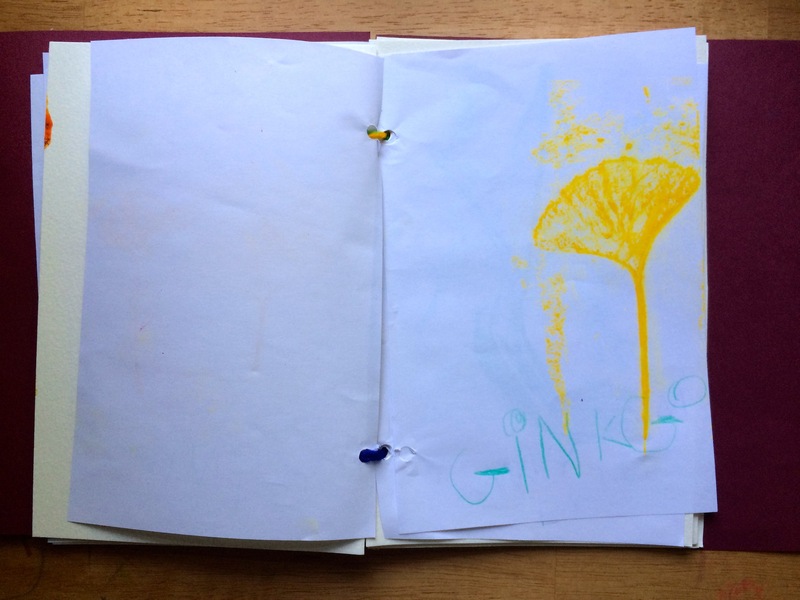 Don’t you just love a book that implores inquiry and creativity? Win! 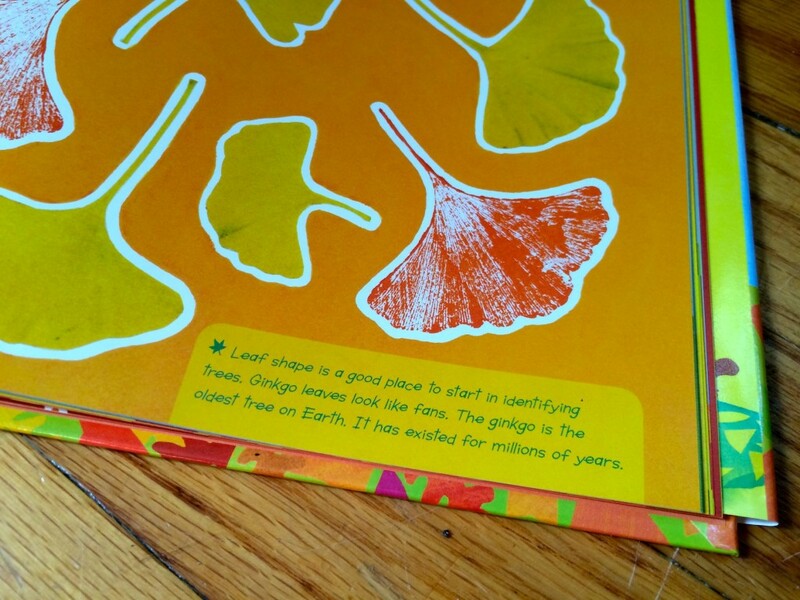 This is my daughter’s most recent leaf book. 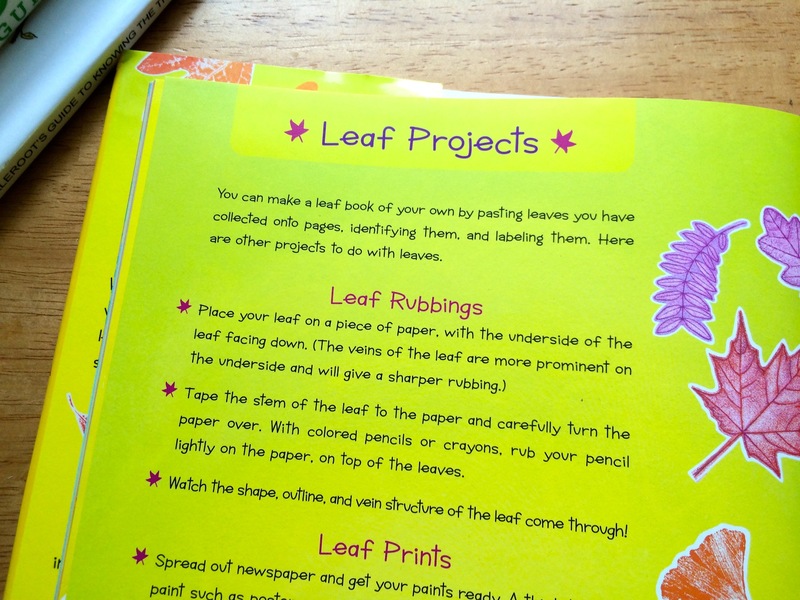 I’m going to provide a breakdown of how it was created, but before I do I wanted to touch upon the fact that this is an entertaining activity and there are no rules to assembling a leaf book. That’s the exciting part. Make it your own! 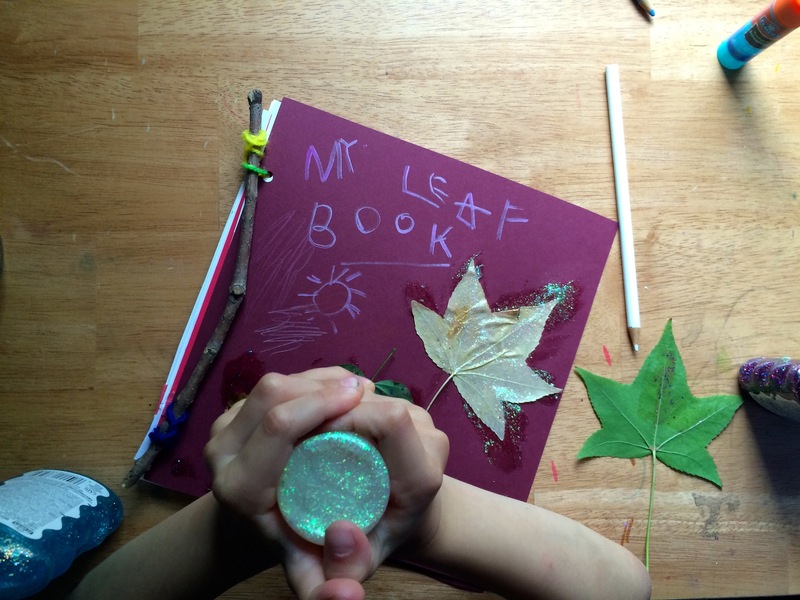 We did use the instructions for the leaf projects in the back of My Leaf Book, but also explored and played with other ways to document leaves from our surroundings. 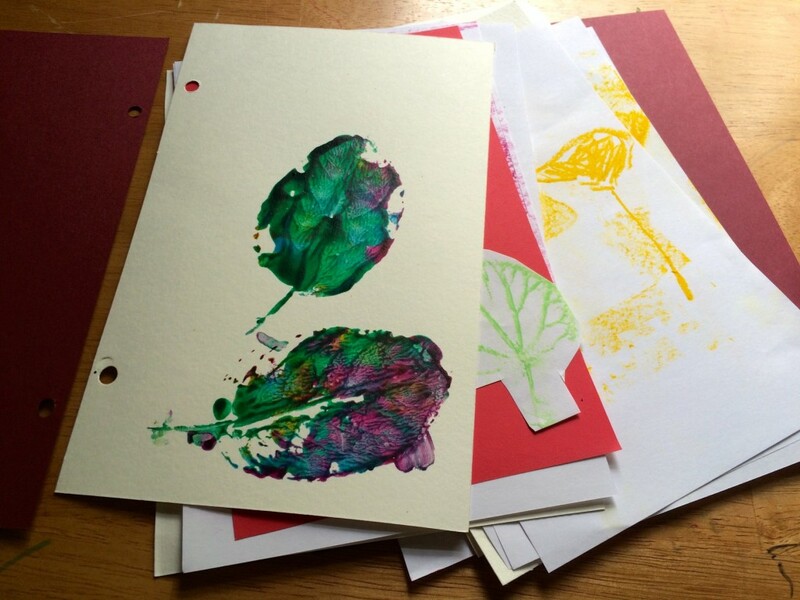 The art techniques used to document the leaves include leaf printing, leaf rubbings, sketching, and pressing. The first step is to go outside. Go outside and look at the ground, go outside and look up at the sky. Go for a walk around the block. Go to the park. Go to an arboretum like the main character in My Leaf Book. 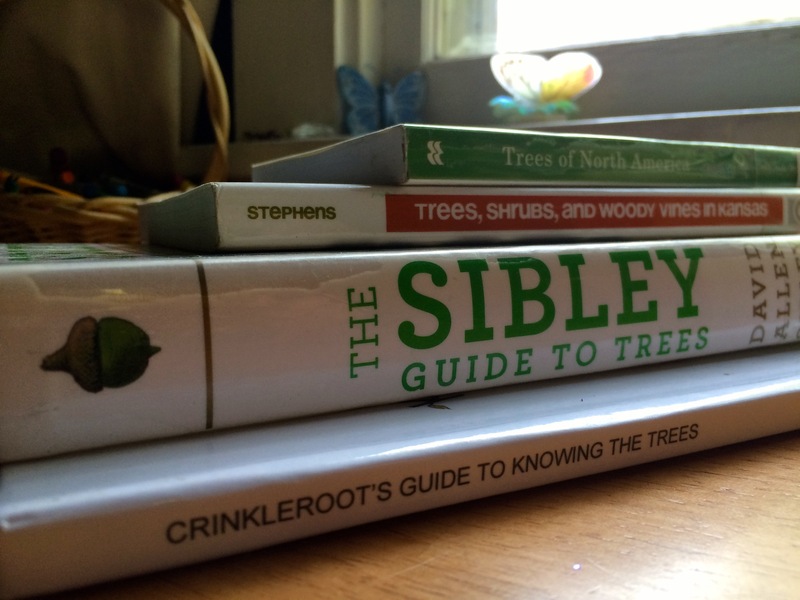 Next, visit the library and check out a guide to tree identification. Try to find one with lots of color photos or drawings and that is specific to your region. These are the supplies we used, but you can easily substitute crayons for oil pastels or use whatever you have on hand. 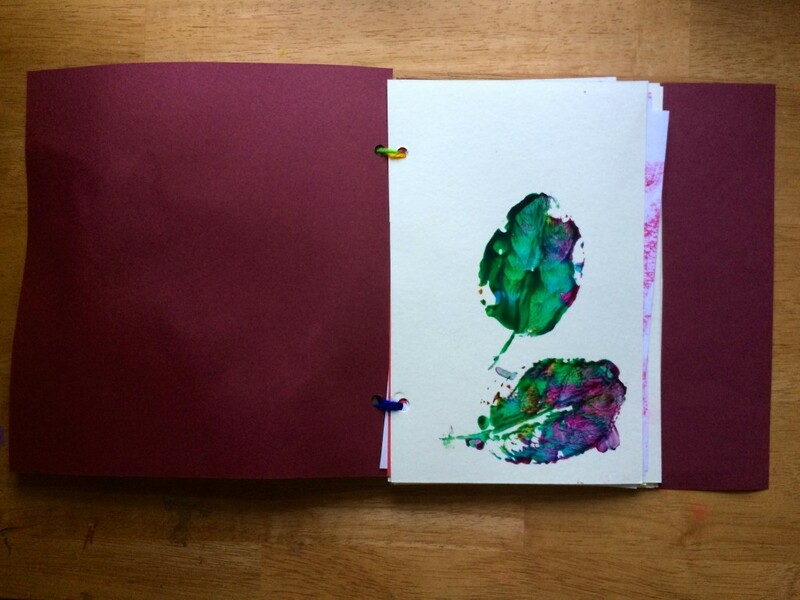 I cut spare sheets of watercolor paper and copy paper in half and punched holes in those sheets with a hole puncher, making sure the holes were all in the same position for when it comes time to bind the leaf book together. We followed the directions on how to make leaf prints in the back of My Leaf Book. 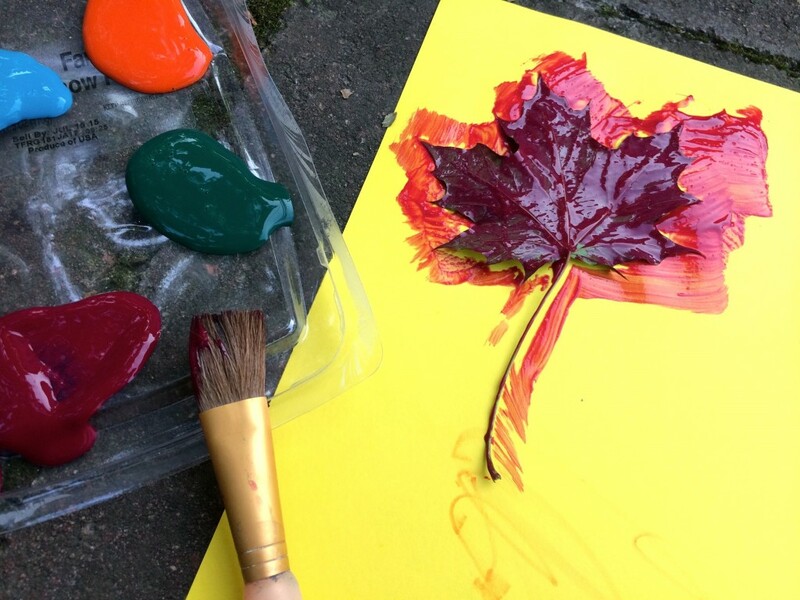 Essentially, all that is required for this process is to paint a leaf with a paintbrush (if you have a brayer, use a brayer for more precision) and then press a pieces of paper onto the leaf. 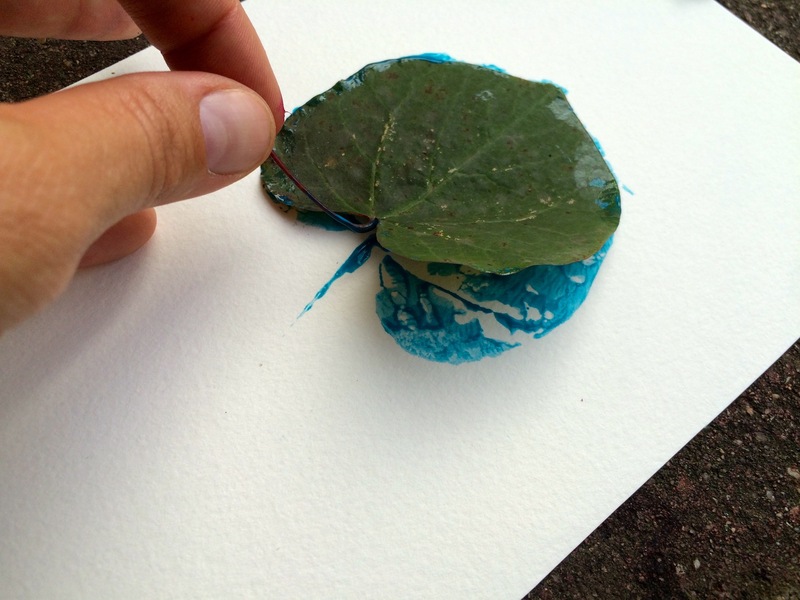 Rub the paper on top of the leaf with your fingers, feeling the veins of the leaf and the outer edges, pick the paper up to reveal your leaf print! The majority of the times the leaf was stuck to the apper, so we carefully pealed it off the paper. 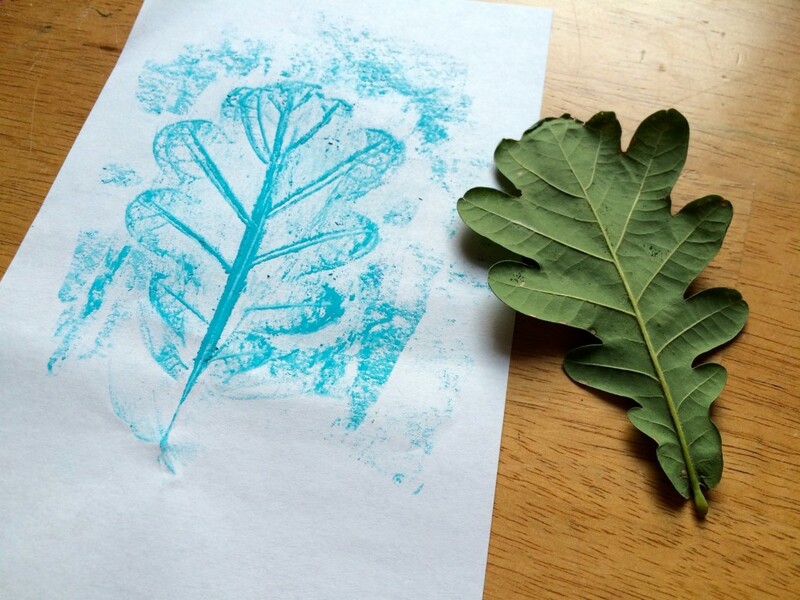 If the leaf seemed like it had enough remaining paint, we made a lighter print. Once done, allow plenty of drying time. 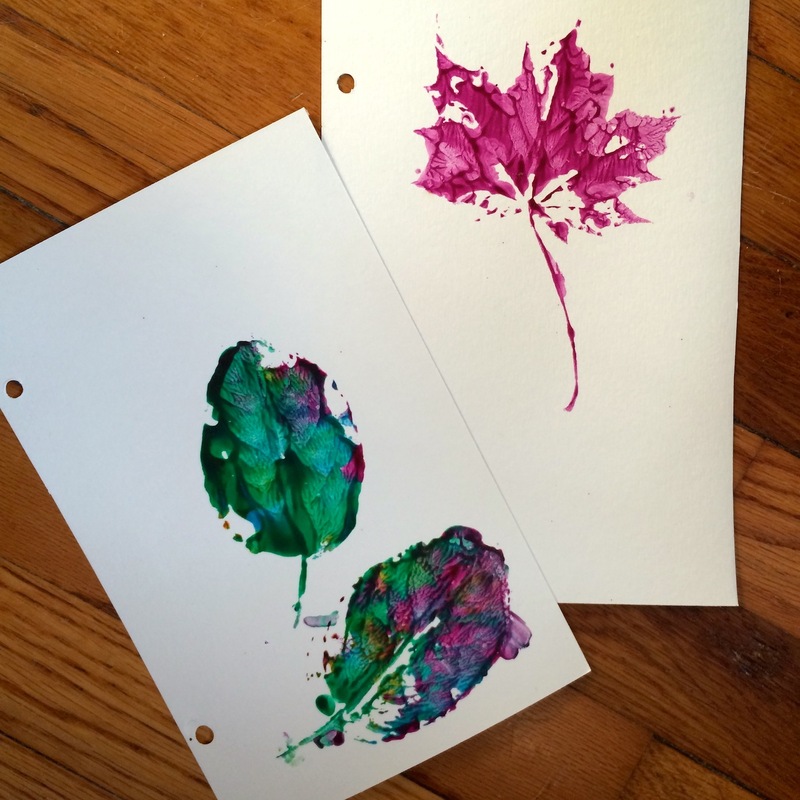 Leaf rubbing is a beautiful and easy way to create leaf art with minimal supplies. 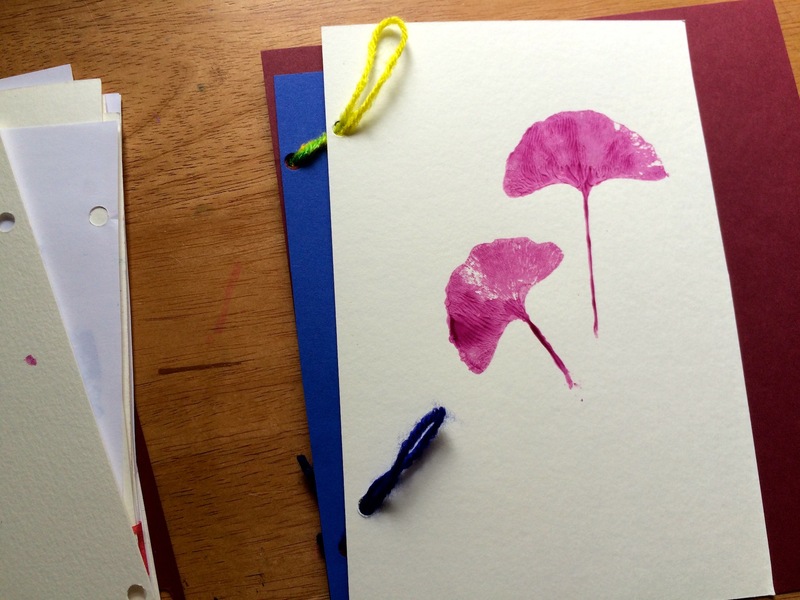 Lay a thin sheet of paper (printing paper will do just fine for this activity) on top of the veiny, underside of the leaf. 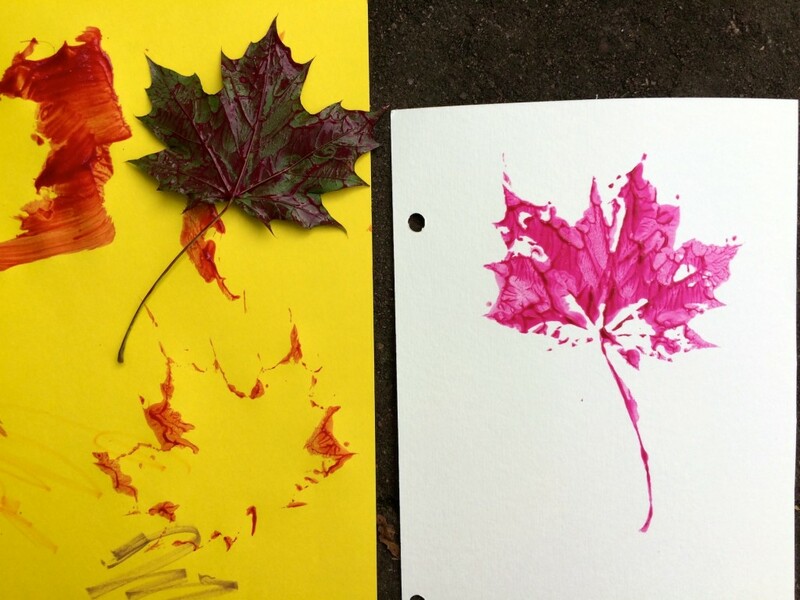 Using the side of an oil pastel or crayon, rub the paper covering the leaf and an impression of your leaf will appear before your eyes. 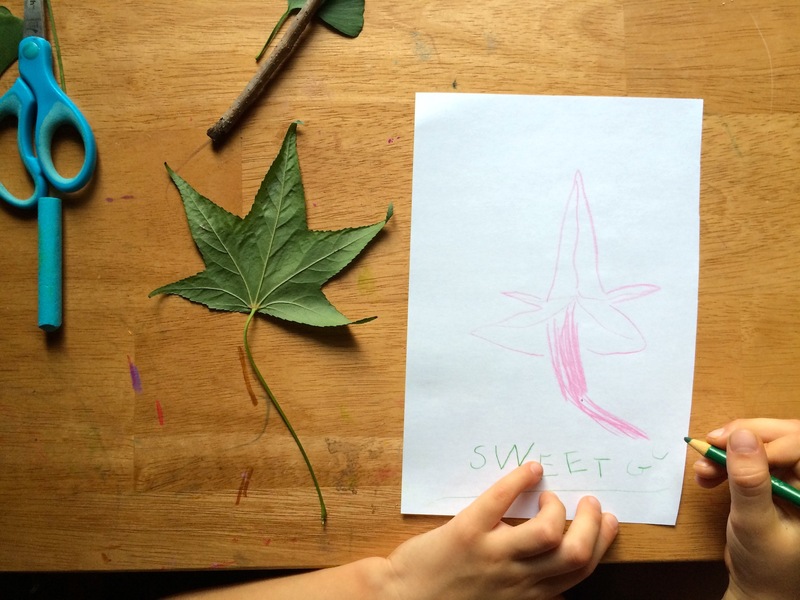 Another method used was drawing free-hand representations of leaves. 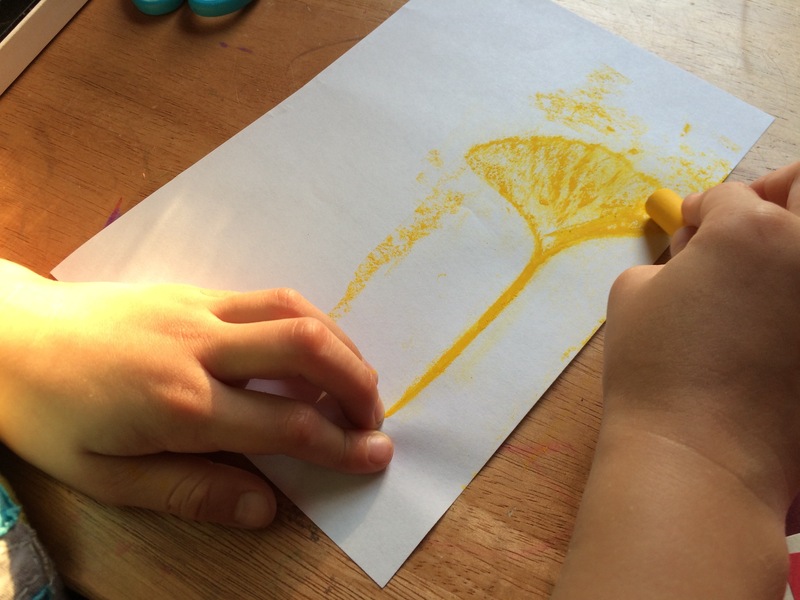 She also enjoyed tracing the shapes of the leaves as well as cutting rubbings out and pasting them onto a separate piece of paper. 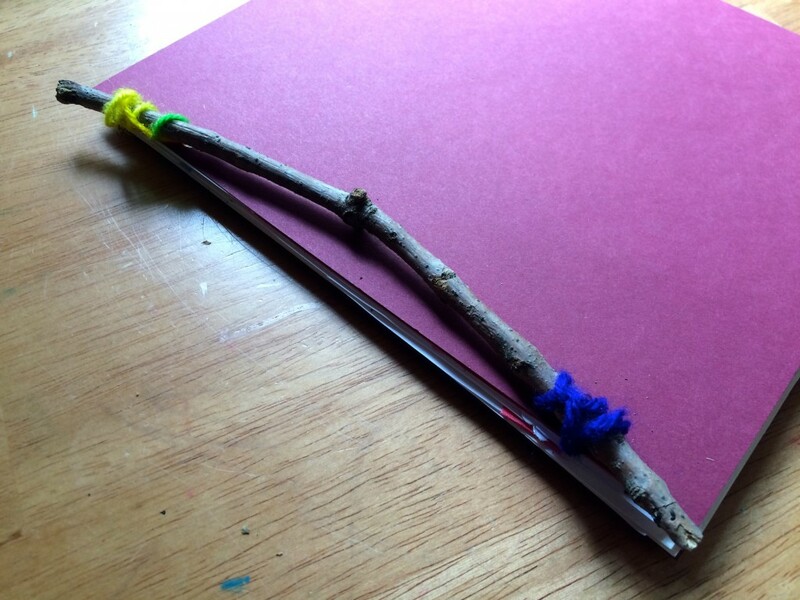 Whatever artistic method your child chooses or whatever you can make happen with the supplies you have on-hand will be wonderful. 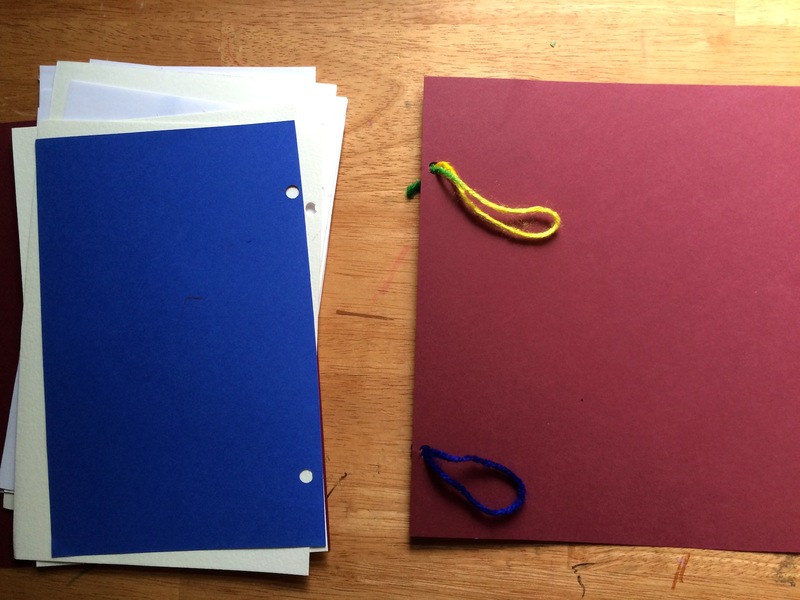 To bind the book together, I cut two pieces of yarn into roughly 8 inch pieces. 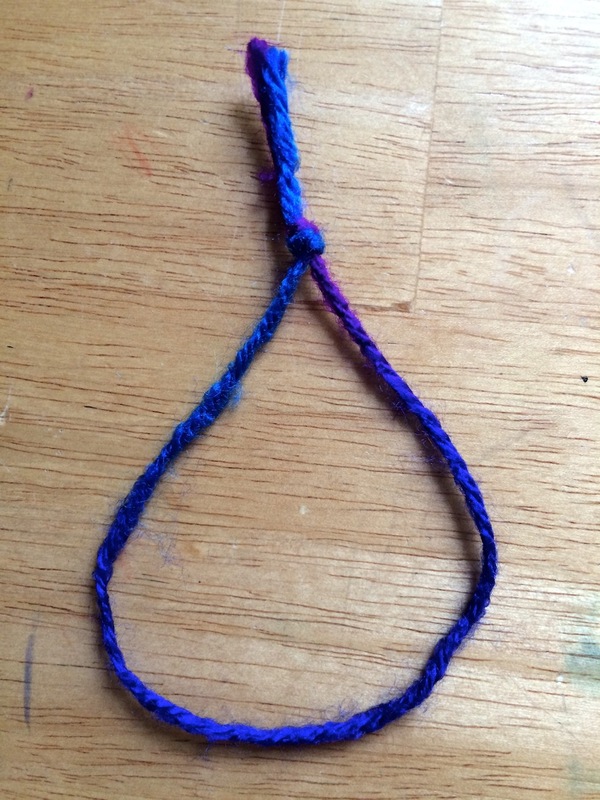 I found this binding idea here, but had no rubber bands so yarn was my alternative experiment. Each peice of yarn I tied into a loop and then threaded the loop through each hole of the back of the leaf book. 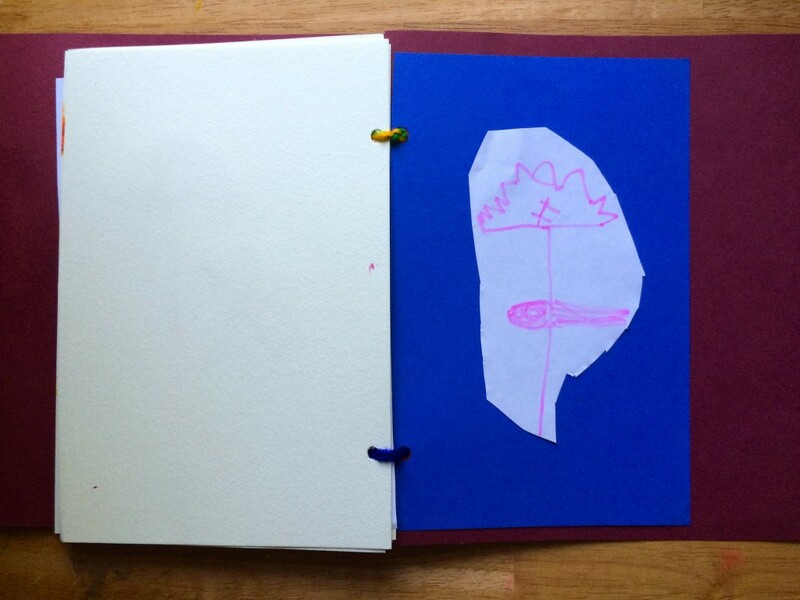 Working from the back of the book to front, I threaded the pages through the yard loops. 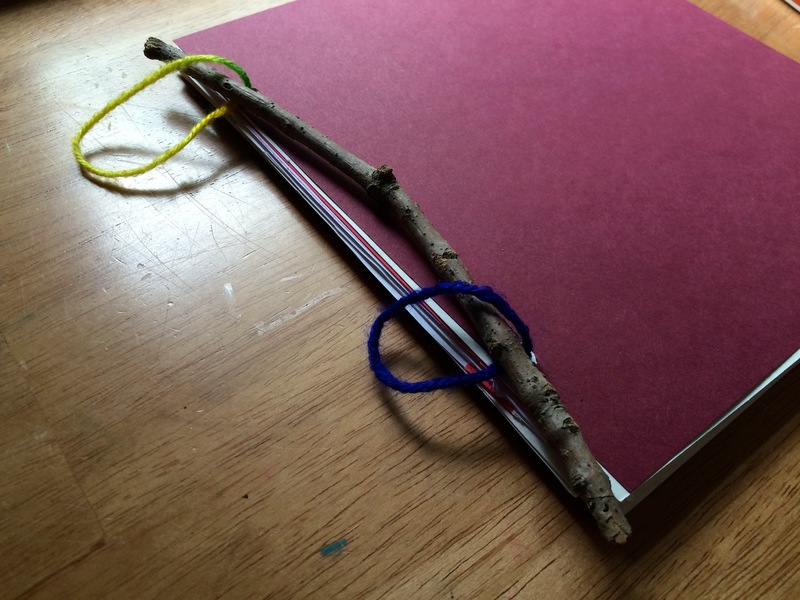 Once the pages are threaded and the cover is threaded, wrap loose ends of the loops around a stick about the same length as the leaf book. Once the book was assembled, we took time looking up the leaves collected and labeled them. 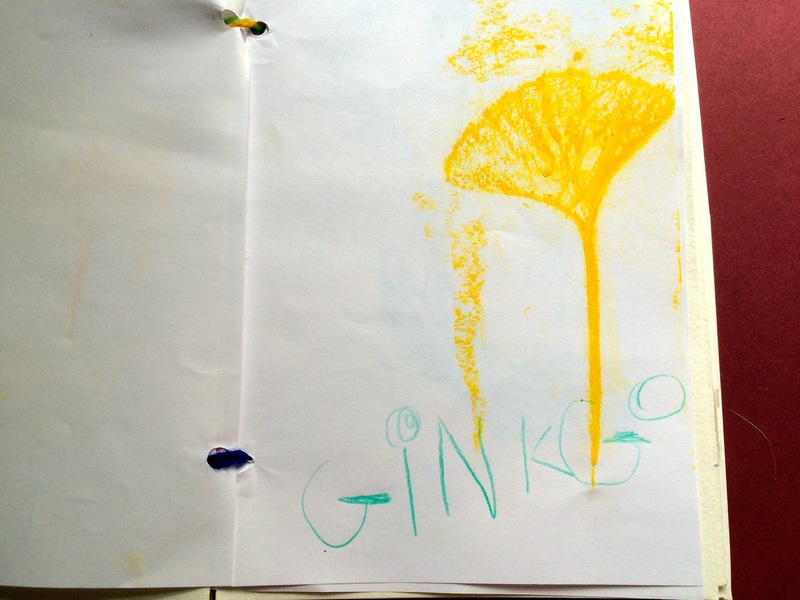 For the cover, she pasted leaves using a clue stick and covered them in glitter glue and sketched a design using her favorite metallic markers. So many stimulating sights, smells, and sounds roll in with fall. I hope you’re able to make time to go outside and explore them. Happy leaf hunting! So glad your posts are back! I found your blog over the summer and love, love, love your ideas!!! Thank you for inspiring me. I’ll be doing a one-time storytime “Story Explorers” for the 2-5 year old crowd next week and will be using your apple pie craft. Too cute for a fall theme. Oh, how wonderful! 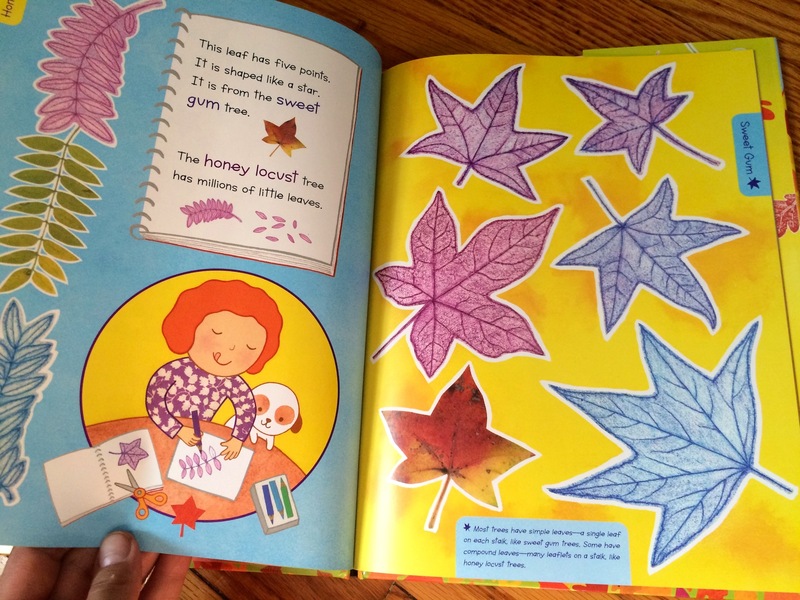 It warms my heart to hear you’ll be using the apple pie craft in one of your storytimes– That was one of my first storytime crafts! You’ll have to let me know how it goes. Thank you so much for the kind words. 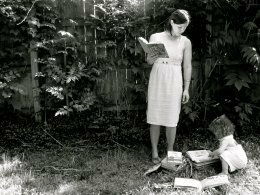 It feels good to be blogging again. Thanks so much for sharing my binding idea! So glad the yarn worked out for you! 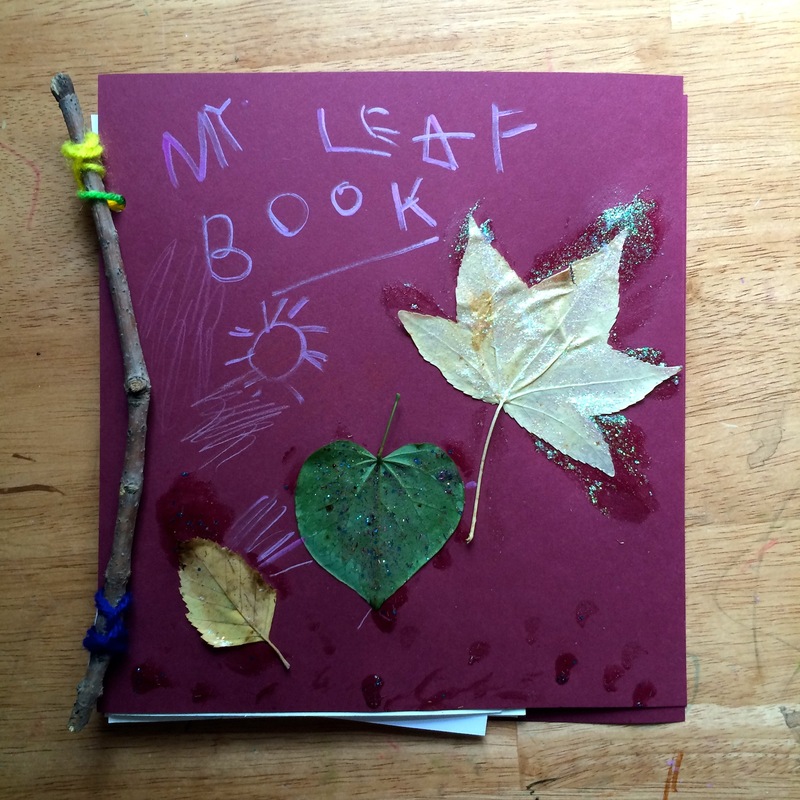 This leaf book turned out awesome and it sounds like your daughter had a blast making it!